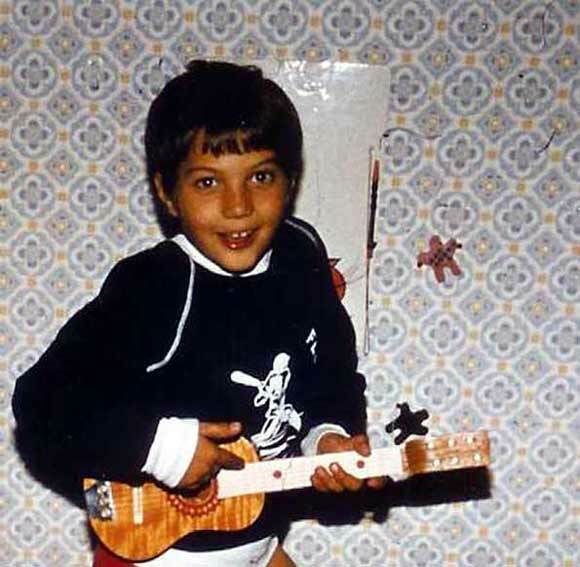 I was born at November 27 1971 in Berlin  Charlottenburg and my enthusiasm for music was evident even in my early years. 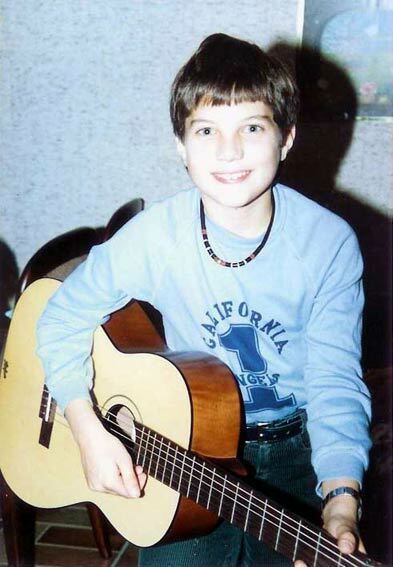 On my 10th birthday I received my first guitar as a gift. This set the mark for my youth and, as it later became evident, for my whole life: Rock ´N´ Roll!!! 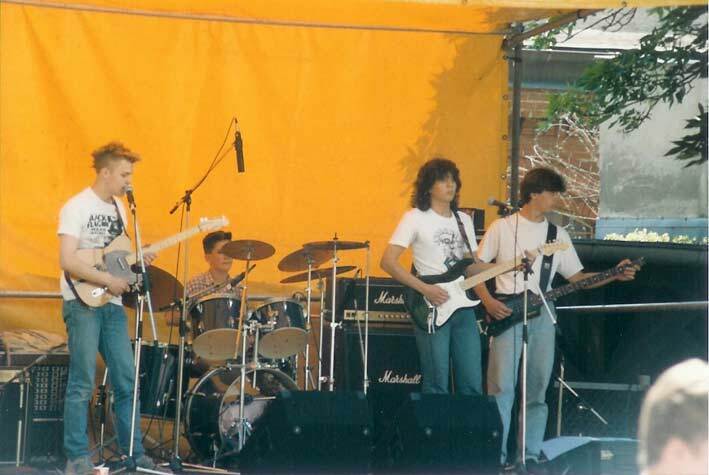 As a guitar player I spent five years in different bands, playing a couple of concerts. I guess from the audience perspective the early shows were pretty tough to liste n too. Using some microphones and a little 6- channel mixer we recorded our demos to a stereo tape deck in my rehearsal room - "studio". Because my only field of real interest was music, and with the hope for more Rock ´N´ Roll, I started my training as a sales represantative of musical instruments at the age of 16. Right after my successful examination I attended a private school of audio engineering. During the second lecture I discovered that this school didn't teach the way I would like to learn and I decided to concentrate on my career selling drums. Eventually, after almost seven years, I realised that my job had become more and more about hard business, and that the chance of my original hope coming true had diminished. 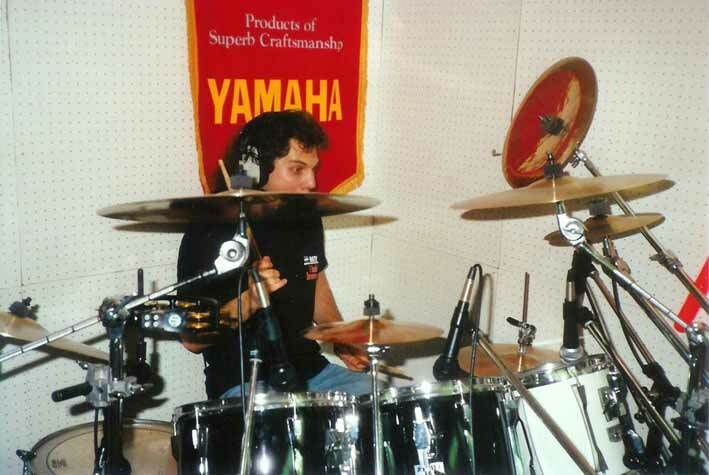 In 1995 I made the change to wholesale trade wich gave me the chance, in my spare time, to also work as the foh engineer for the band of my ex colleague', Olli Grassmann. It was my first job as a live sound engineer. 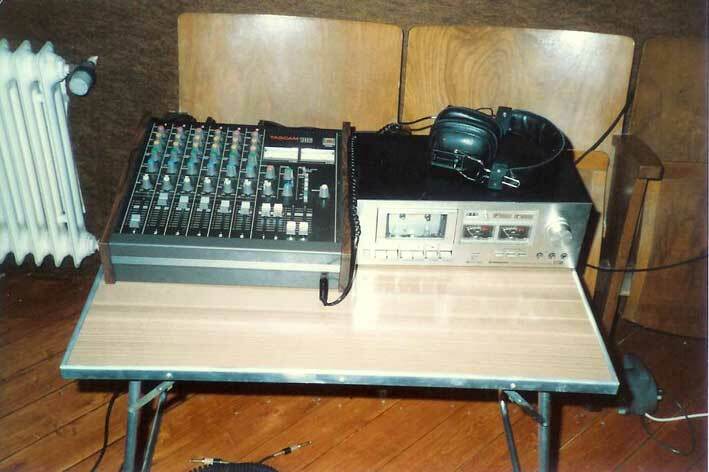 The guys wanted to record their first CD and the fact that the capability of my "home studio" had developed to 16-track recording with a 48-channel console and good outboard gear helped with their decision to produce the CD with me. Directly afterwards I went on to also produce CD's and demo tapes other bands. My boss with Sonor drums in Berlin was - and still is - also a partner of a rental company for event technique and I was able to work as their engineer and technician from time to time. 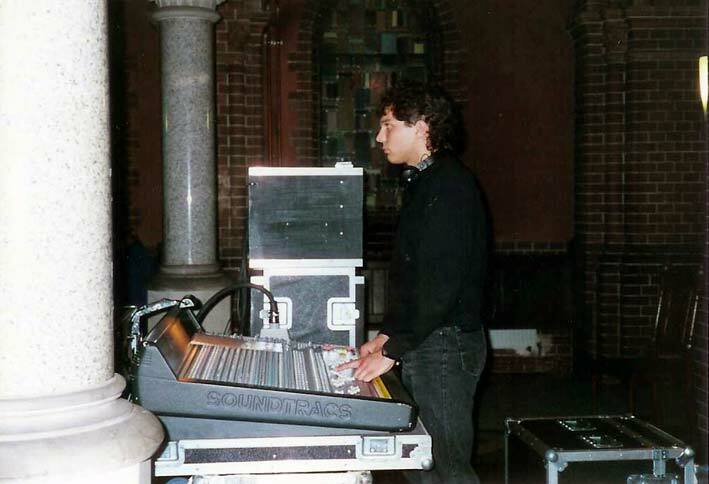 This worked out so well that the guys offered me a six month tour as a freelance foh / monitor engineer through all possible  and impossible  churches all over Germany and surrounding countries with the Golden Gospel Singers in early 1997. A damn tough - but good - learning curve. After I arrived back home the career I had just started seemed to be almost over again as I had no other work coming up for quite some time. But I didn't give up and tried to get in touch with people I knew through my former jobs. I started to work for the biggest backline rental company in Berlin  Total Band Service  as a backliner for Berlin bands. 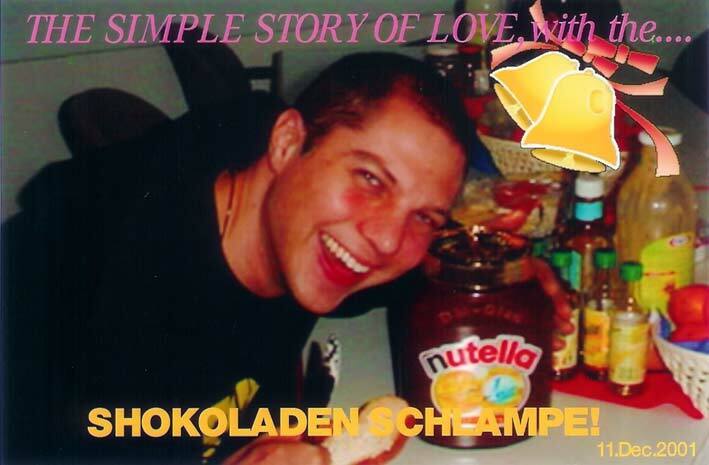 In the beginning of 1998 I met Marcel Fery from (former) Total Sound  now TSE AG - by coincidence. I knew of him and I didn't stop calling his partner who organized the personnel until he offered me a job. It was in spring of 1998, for one of the first Robbie Williams solo shows ever, that one other guy and I had to set up the whole PA (EV MT4). I had to mic up the stage and so forth and I think it was the first time in my life I had to work 20 hours+ in a row. Even in my worst dream I can't imagine that there will come a time when I have a job where I would have to work much longer. Anyway, that was without any doubt my entrance into the more professional league of sound reinforcement and I was thankful that had that chance. From then on it was a fast way up. As well as my work at TSE I was touring as a backliner for some German artists and at some shows I was allowed to mix the monitor sound. That was another incisive occurrence in my life and I knew - that is what I want to carry on with! 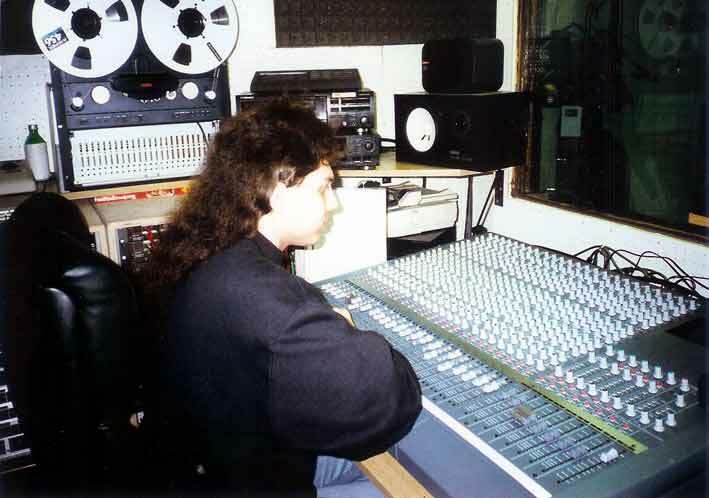 Following were some national and international tours as monitor engineer for TSE and in spring 1999 I was offered the position as monitor engineer for a five trailer tour production, where I was originally hired as their backliner. The band: Modern Talking. I appreciated and accepted that challenge. I already knew a little bit about the psychology of mixing monitors, but I couldn't imagine that there would be a Mr. Bohlen who would primarily be responsible for my knowledge growing as much and as quickly as it did. I worked with these gentlemen until end of ´99 and travelled a little more than just Western Europe. 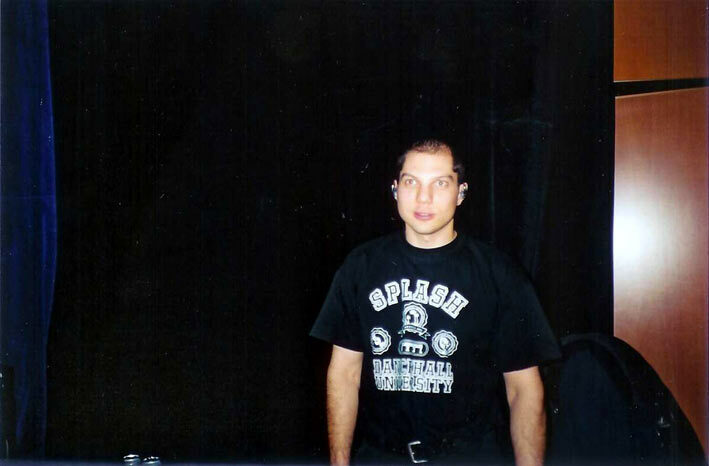 To be a monitor engineer for Rocksound at the world exhibition Expo 2000 I had to move to Hannover for five months. Directly afterwards I toured for four months through half of Europe with a Gospel show again, but this time with two trailers and a nightliner. I was, in the most positive meaning, "just" the monitor engineer. After 10 months I finally had the chance to come back home, even if it wasn't for long. Cool. In summer 2001 I worked for different companies at a couple of big festivals in Germany as local monitor engineer where I had the honor to mix the sound for some of my (teenage year) heroes. In winter time it was  as it was since 1997  Gospel time again. 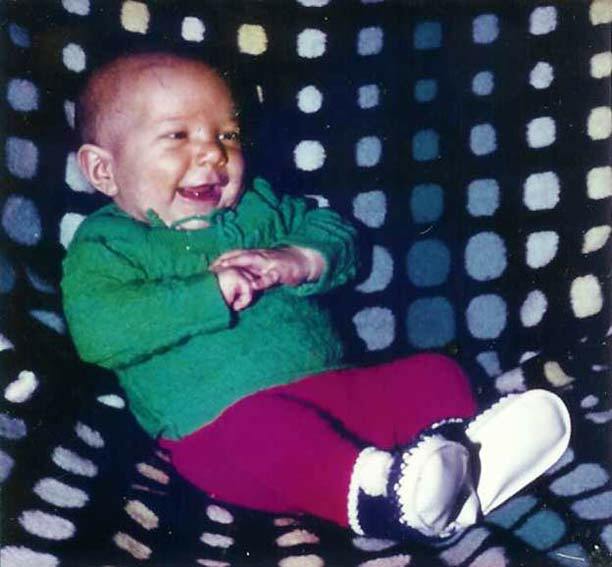 In April 2002 I received a call that pretty much changed my life  hopefully forever. Audio Rent  Clair Brothers Europe hired me for a short tour with Al Bano Carrisi. From these days on I went for Audio Rent from European tour to European tour with different American Rock and Pop acts. Since then I've been working with the most respected foh engineers, production managers and tour managers worldwide. Step by step I'm going to get where I already wanted to be when I was a 10-year old kid  when I started to play the guitar: Anywhere in the world to play Rock ´N´ Roll (let others play). If you are interested how this story is going to continue please read my references.